Unique Features: The beveled glass mirror has a metal border with a windowpane effect. 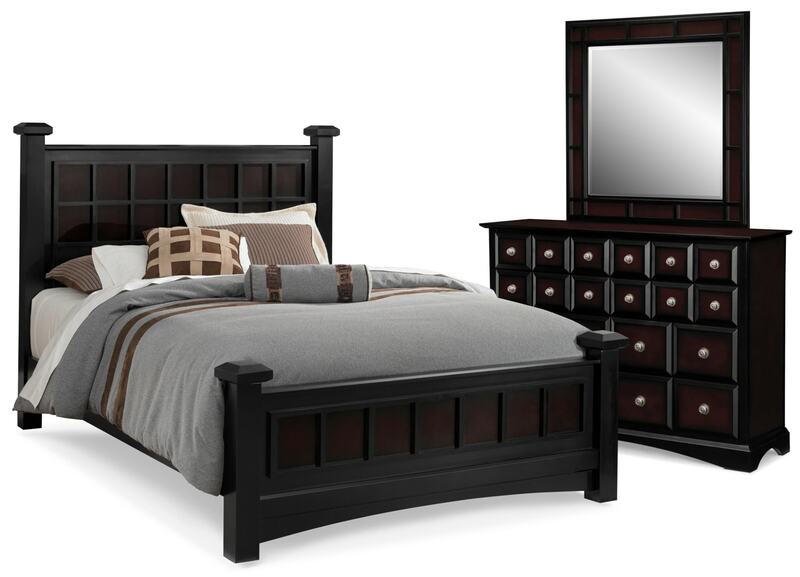 Multi-stepped black finish boasts strong merlot highlights for a rich and distinctive effect. Designer chrome hardware with beaded accents creates a stunning visual. Beveled edges lend added dimension to the stylish geometric grid design. Construction: All case goods are corner-blocked for strength and stability. Hardwood solids and veneers ensure durability. Drawers: Dresser has eight drawers, including felt-lined top drawers. English dovetail joinery is used at the front and French dovetail joinery at the back of each drawer.